Bring the whole family for giant fun. 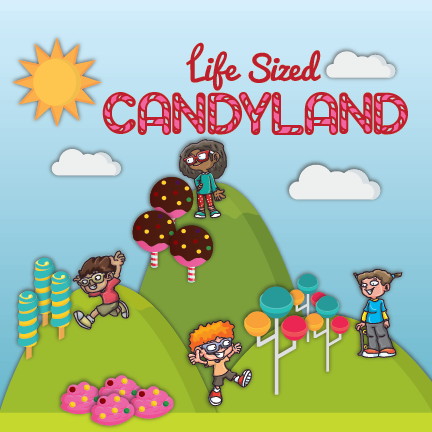 Walk right into a giant Candyland board and find your way through the Lollipop Woods and Peppermint Forest. Work on colors, counting and more while you have a family fun day!